ST. GEORGE — A man was arrested Saturday for one count of robbery and one prior count of theft after allegedly robbing the Walgreens drug store on St. George Boulevard and 400 West. 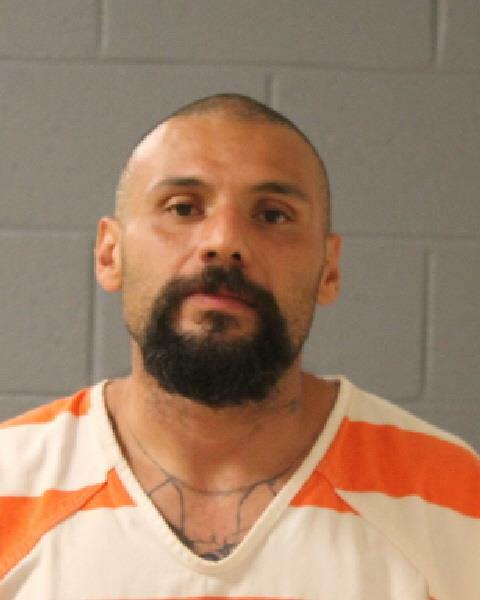 The man, identified as 35-year-old Juan Peraza Chavez of St. George, was arrested by St. George Police Officer Joshua Wilson after police received a call reporting a robbery at the Walgreens store. The officers talked to the cashier who was “very shaken by the incident,” according to the probable cause statement. The officers determined that the suspect had intentionally used fear of immediate force against the cashier by threatening them as he stole items from the store. The officers checked the surveillance footage which showed a male dressed in a white tank top and black shorts with tattoos on his arms and shoulders. Later that day officers located the man and identified him as Chavez. The officers arrested Chavez and transported him to the St. George Police Department, where he reportedly admitted to stealing items from Walgreens. Chavez was booked into Washington County Purgatory Correctional Facility with $10,000 bail. He faces second-degree felony charge of robbery and a third-degree felony theft charge. We have way too many gang-bangers in Dixie. Wish they’d all crawl back under their rocks, or return to where ever they came from. DRT, Not sure if we are at that level of too many of these criminal types yet. However this is a brazen robery attempt by a local resident, and regardless of no apparent weapon, he could have killed an innocent human being. Let’s not forget the traumatization of the victim as well. I hope after he does time he moves out of Washington County. If he has any honor or dignity whatsoever, he will pay us all that respect. His face is unforgettable along with the neck tatoo. A man can turn his life around if he chooses, but it takes courage and inner strength. The employee is a hero. SGPD good job as well. This guy? Shoot him in the leg and a few other places, please. More people thinking they are above the law. Can’t imagine how any one thinks to these type of things, threatening to shoot someone, what did he steal I wonder? Walgreens already gives great discounts, how greedy can ya get? Was he after prescriptions? This is being reported as an inappropriate comment.